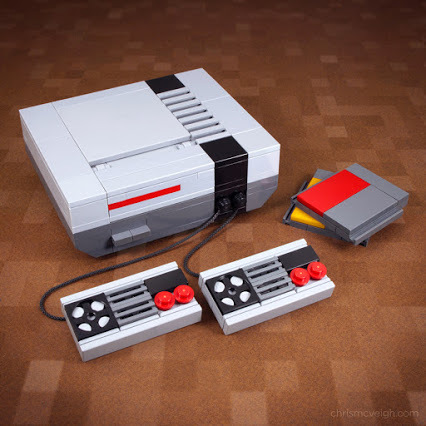 There is no shortage of Lego obsessives on the planet, but few have made the toy (if you want to call it that) the major focus of their livelihood. 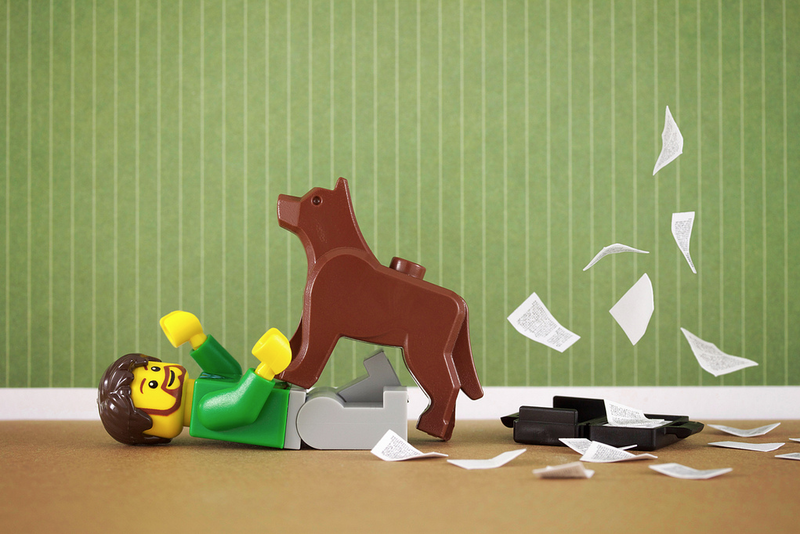 Canadian author, illustrator, toy photographer, and Lego kit-creator Chris McVeigh has managed to turn his Lego love into a shared art form. This preoccupation did not spring up suddenly or out of nowhere. 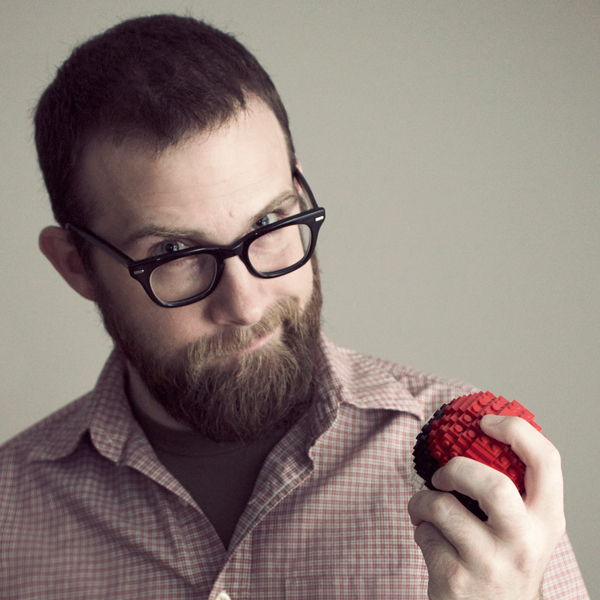 At the age of 12, McVeigh was, by his own account, “sternly dissuaded from buying more toys or engaging in any sort of toy-related activities.” Yet the urge for creative play never really goes away, as McVeigh discovered when he reconnected with toys later in life. Lifestyle scene as part of an advent calendar series. Brand new: The Game Console is available for pre-order. 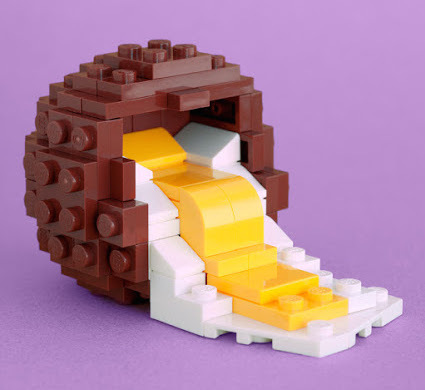 As an artistic construct, Lego offers some obvious advantages. The little bricks are cooperative, there’s a satisfying feeling when they are pieced together, they don’t balk at posing for the camera, and there are generally abundant parts available. 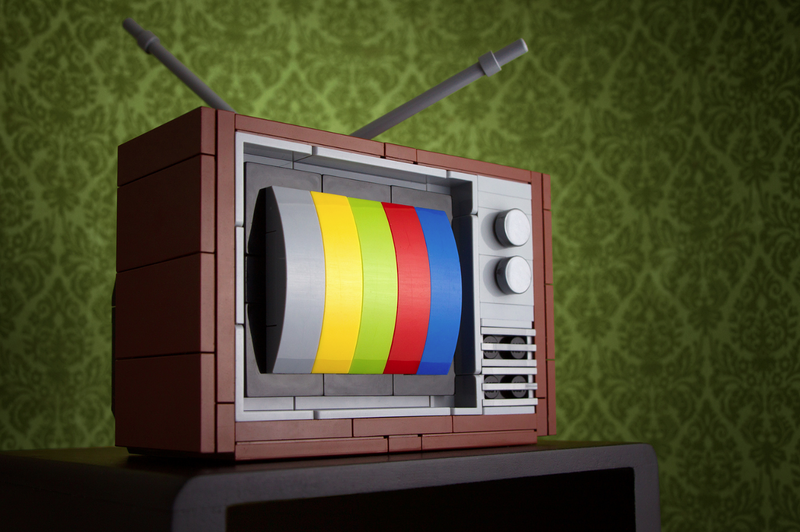 In addition to classic recreations of objects and scenes, McVeigh commemorates some of his favorite original Lego designs with photo portraits. 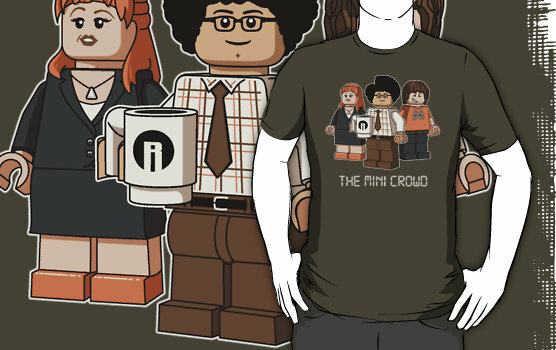 He also occasionally creates Lego-themed t-shirt designs mostly featuring minifigures. Minifigure T-shirts and other items are part of McVeigh’s Lego universe. McVeigh’s craft isn’t just about what you can buy, but what you can make. And McVeigh’s original kits facilitate anyone trying their hand at building their own Lego landscapes, portraits, characters, and objects. My First Computer featured Earth tones with crisscrossing tiles and plates. For example, you can now pre-order McVeigh’s newest kit, the 220-piece My First Game Console complete with two classic controllers and two cartridges. 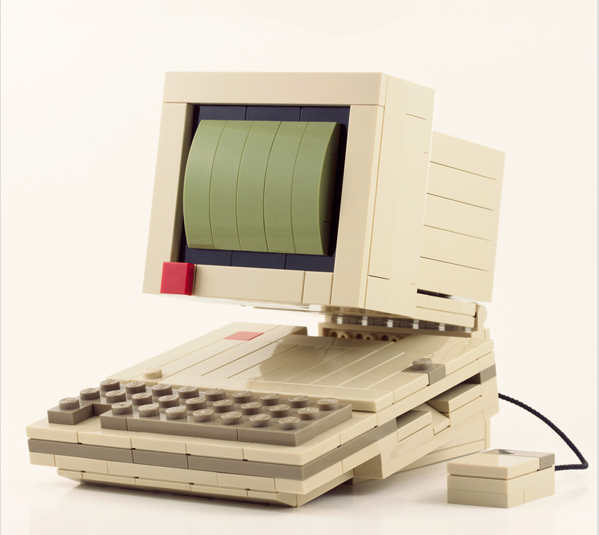 These kinds of mini computer models have proven extremely popular over time—witness the sold out status of My First Computer, which kind of looks like an Apple IIe. But hey, tech isn’t the only Lego game in town. 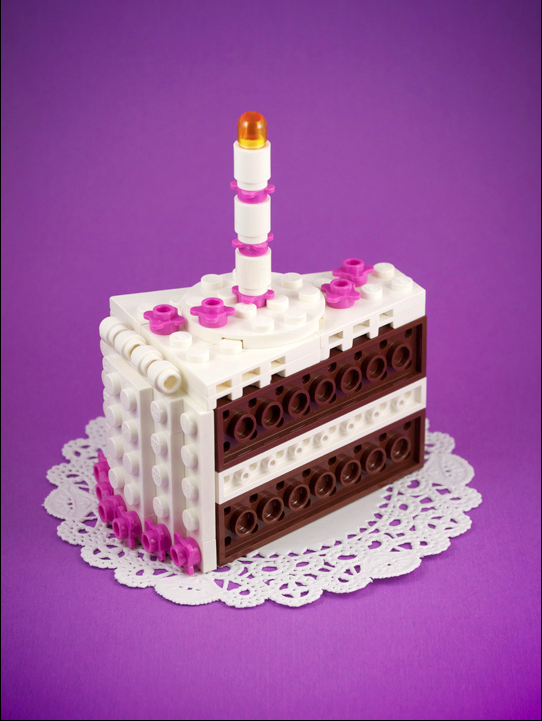 McVeigh has created kits for cameras, rotary telephones, brick sketch portraits of famous cartoon characters, old fashioned TV sets complete with rabbit ear antennas (one of McVeigh’s personal favorites), butter cream birthday cake slices complete with candle, and more. Another new entry, Peculiar Police Box, resembles an old telephone booth. My First TV—evoking the 1980s. Each kit ships with PDF step-by-step instructions, but McVeigh emphasizes that anyone can download those instruction for free, even without buying a kit from him. Each model is carefully crafted for maximum aesthetic enjoyment. “I work as hard designing the inside of a model as I do the outside. Colors are chosen very carefully, and bricks are laid out in a manner that makes them both fun to assemble and visually appealing,” McVeigh says. 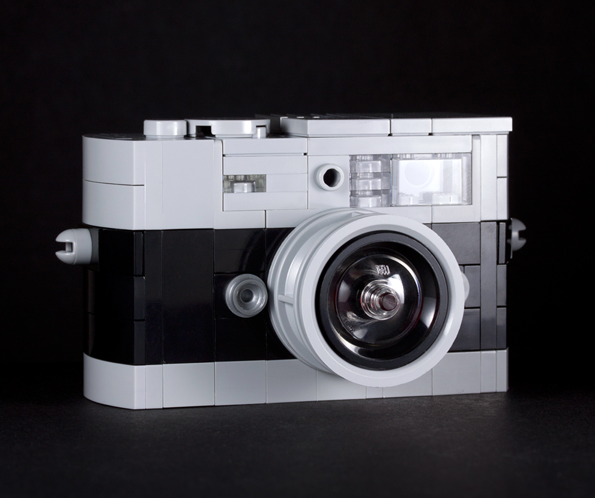 As a result, these Lego models have started to attract attention from unlikely admirers outside of the hobby set. Last Easter, he created a cream filled egg model as a prop for a holiday themed photo. Recently, Cadbury UK discovered it and asked his permission to share it. Cadbury UK got a kick out of this Easter-themed creme egg. McVeigh does not sell a specific kit for the creme egg, however. McVeigh’s entire portfolio of current and upcoming Lego kits is available on his website. You can also view McVeigh’s full photo portfolio on Flickr. Photo prints, a vast variety of T-shirts and hoodies and onesies, mobile device cases and laptop skins, wall clocks, throw pillows, greeting cards, calendars, and more—can be found at Society6 and RedBubble.